In many ways it’s an advertisement for Ohel Bais Ezra— but it’s touching in that it shows us the following. 1) Autism happens in the Orthodox community. 2) It’s not talked about because of the stigma involved. 3) Lots of autistic behavior is looked at by those who aren’t aware as just being the result of poor parenting. Example: No, I CAN’T just bring my child home when he screams in the supermarket. He’s going to scream EVERY time (or almost every time) I expose him to that environment. The key is to keep doing it from time to time and working on the skills needed. Hiring a babysitter everytime I need to go to a supermarket isn’t feasible or what’s best for my child. It’s a little cheesy, but definitely worth a watch. Unbelievable— I have both twins in underpants 100% of the daytime. Even out and about. Even at school. I’m finally at the “less trash, more laundry” part of potty training! Wilma’s progress is completely stalled— still no #2 in the potty, and #1 in the potty ONLY when nagged. If I don’t say a word, she happily pees the couch, floor, wherever. So I nag a lot– no self initiation. 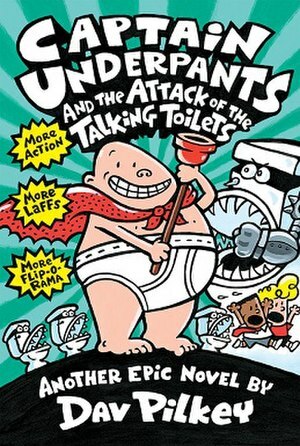 Throwing away lots of underpants due to poop. REFUSES to use the potty at preschool but is fine with all regular size toilets. On the other hand— Fred has gone from being the one who wasn’t ready to put ANYTHING in the potty to being the one who not only puts pees n the potty but poops too! Yeah, that’s right— last Friday out of nowhere he finally started PEEING everytime I sat him on the potty— he was finally sick to death of me sitting him on the potty multiple times a day and calmly cleaning up his pee and poop and telling him I’ll wait patiently for when he and his body are ready to get his business in the potty. Light bulb child—- 4 days into underpants (THIS time– not like I haven’t put him in underpants multiple times before and given up a week later when it wasn’t working! )— and the light bulb finally turned on. AND he’s starting to self initiate! I nag plenty, but when I don’t nag, and he needs to go, he walks over to the potty, pulls down his underpants, and does his business! What every mom wants their 2-3 year old to start learning to do. ok, the twins are 5, but STILL! But he still refuses to use any toilets— only the tiny froggy potty at home or the preschool size toilet at school. I sat him on a toilet at a friends’ house today and he completely refused. Every poop he puts in the potty, I get some scars– he kicks, he screams, he cries, but he puts his poop in the potty. Progress.